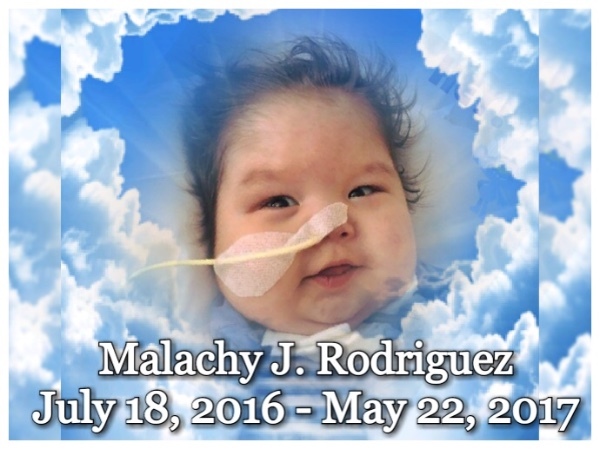 Malachy Jaykup Rodriguez made his presence known on July 18, 2016. With his handsome face, soft skin and chubby cheeks. 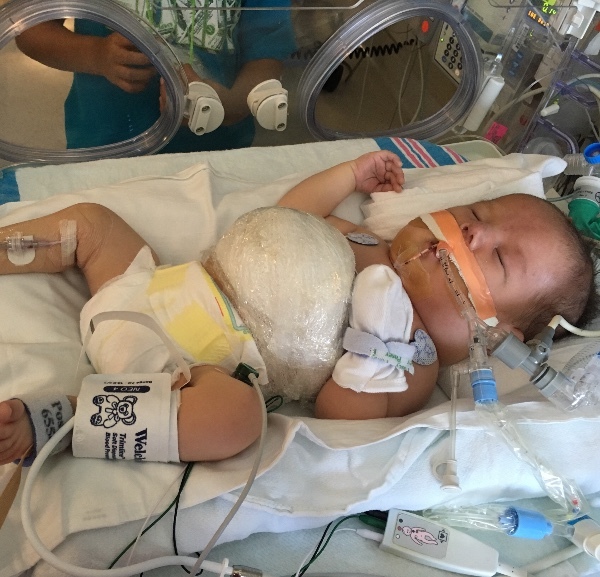 Malachy was diagnosed with Tetralogy of Fallot (TOF) and an Omphalocele. With these list of conditions we were ready too handle this obstacles full force. Malachy had stayed in the hospital most of his life. While being in the hospital he made numerous progress and he was finally about too come home. We finally brought Malachy home earlier this month. Once Malachy was home we handled all obstacles and challenges full force. 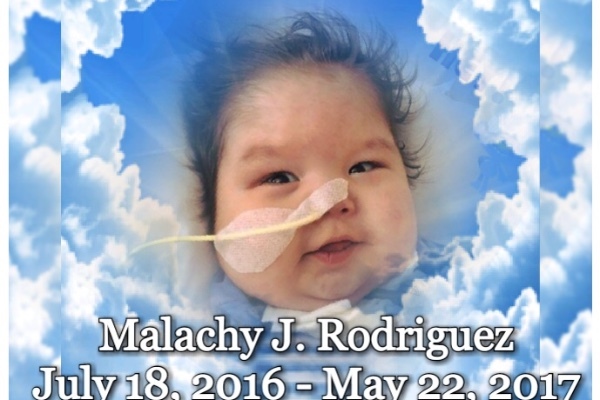 Malachy Jaykup Rodriguez was the strongest 10 month old little boy we have ever seen. On May 22, 2017 Malachy passed away. He fought a good fight and we know he is now resting in peace and not suffering. He is deeply missed by all his family!! We wouldn't ask for much if it wasn't in time of need. Any donations to put our precious Malachy to rest would be greatly appreciated. As we prepare too lay our baby boy Malachy too rest I just wanted too say THANK YOU!!!! For each and every person that has donated you don't know how much this means to us!! !